cached vnode's parent to null. This pull request will fix #9842. In the original issue. it states that it relates to transition which is not true. 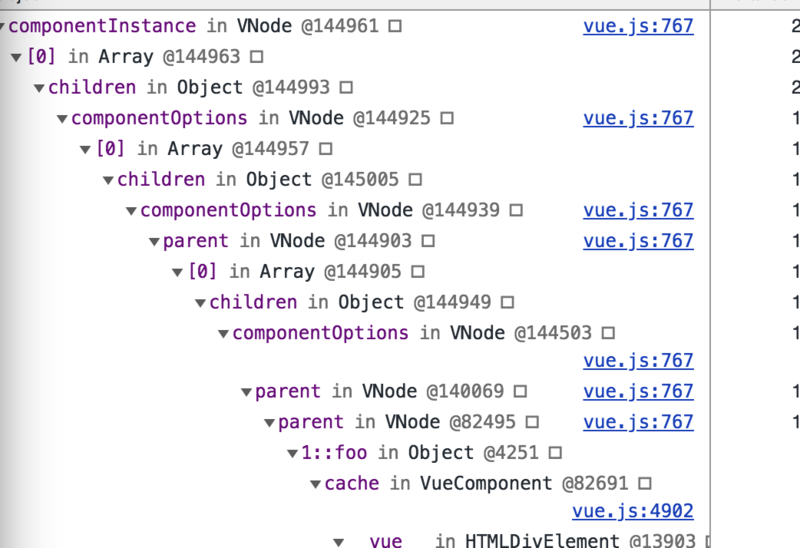 It can be any vue component.Here is my local test. the more you update keep-alive, the more hierarchy you get. Hello @dejour , just passing by and noticed that you can also destructure the _vnode property in this statemant, avoiding to use this._vnode on the line 127. Also, the CI points a build failure on the test-cover and lint steps. I think it has nothing to do with your code, since the change it's not on you commit.